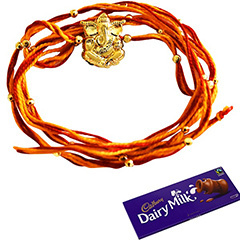 Heavenly Beauty!! 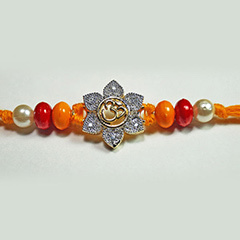 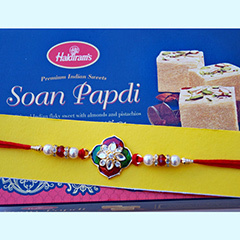 On this Raksha Bandhan, give the feeling of Indian tradition to your brother who must be missing the auspicious tradition of our mother land in Australia. 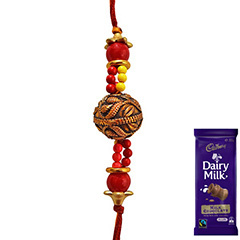 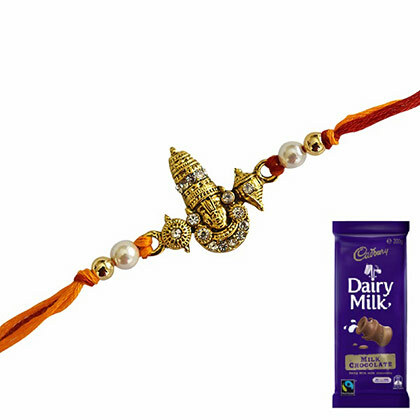 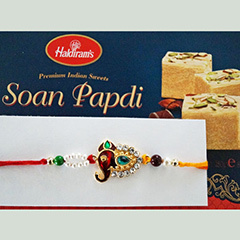 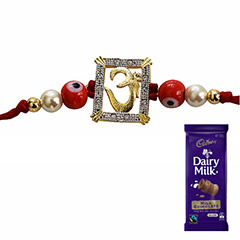 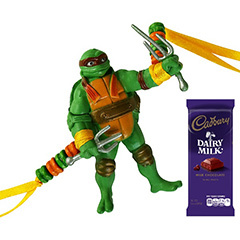 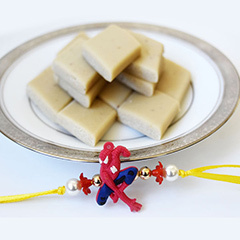 This Rakhi combo consists of one propitious Rakhi thread with a chocolate treat will surely become a divine and delicious extravagance of Rakhi festival for your lovely brother.